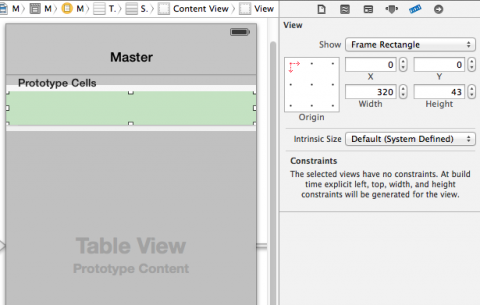 Scroll down to tableView:canEditRowAtIndexPath:; you’ll see that this method is already set up to returnYES which means that every row of the table view supports editing. 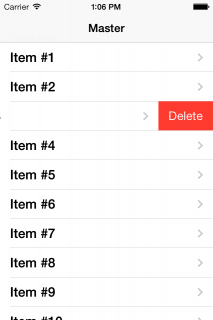 Directly below that method, tableView:commitEditingStyle:forRowAtIndexPath: handles the deletion of objects. However, since you won’t be adding anything in this application, you’ll tweak it a bit to better suit your needs. Your app only allows for the “delete” editing style, but it’s a good idea to log what you’re not handling in theelse condition. That way if something fishy happens, you’ll get a heads-up message logged to the console rather than a silent return from the method. Finally, there’s a little bit of cleanup to do. 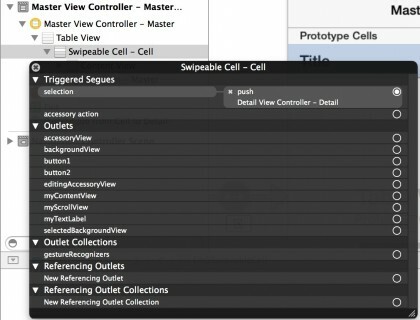 Still in MasterViewController.m, delete insertNewObject. This method is now incorrect, since insertion is no longer supported. Woo — that was easy. But now it’s time to get your hands dirty and dig into the guts of the view hierarchies to see what’s going on. 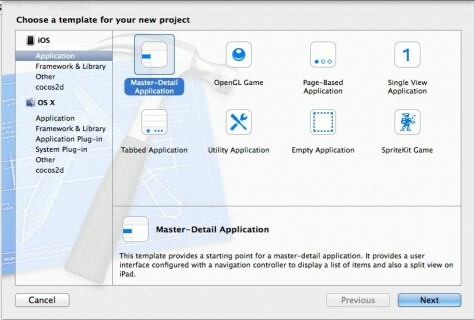 Note: There are a couple of paid apps which allow you to examine the view hierarchy visually: Revealand Spark Inspector. Additionally, there’s an open-source project that does this as well: iOS-Hierarchy-Viewer. Once you add this line, you’ll get a warning that the recursiveDescription method hasn’t been declared; it’s a private method and the compiler doesn’t know it exists. 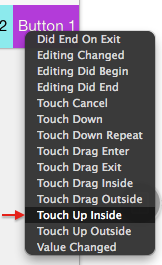 The wrapper ifdef / endif will make extra sure the line doesn’t make it into your release builds. Whoa — that’s tons of information. What you’re seeing here is the recursive description log statement, printed out every time a cell is created or recycled. So you should see a few of these, one for each cell that’s initially on the screen. recursiveDescription goes through every subview of a particular view and logs out the description of that view aligned just as the view hierarchy is. It does this recursively, so for each subview it goes looks at the subviews of that, and so on. It’s a lot of information, but it is calling description on every view as you step through the view hierarchy. Therefore you’ll see the same information as if you logged each individual view on its own, but this output adds a pipe character and some spacing at the front to reflect the structure of the views. 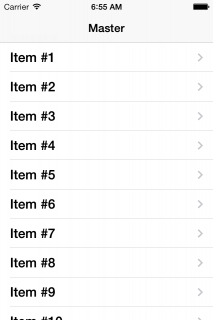 UITableViewCell — This is the highest-level view. The frame log shows that it is 320 points wide and 44 points tall – the height and width you’d expect since it’s as wide as the screen and 44 points tall. 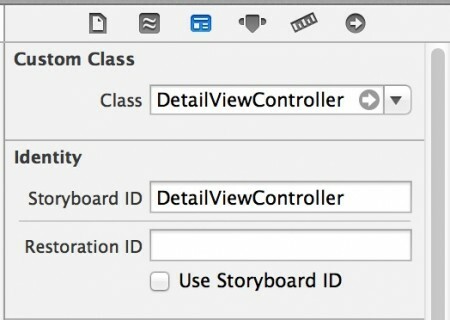 UITableViewCellScrollView — While you can’t use this private class directly, its name gives you a pretty good idea as to its purpose in life. It’s exactly the same size as the cell itself. We can infer that it’s job is to handle the sliding out of the content atop the delete button. UIButton — This lives at the far right of the cell and serves as the disclosure indicator button. 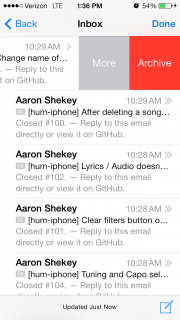 Note that this is not the delete button, but rather the chevron – the disclosure indicator. 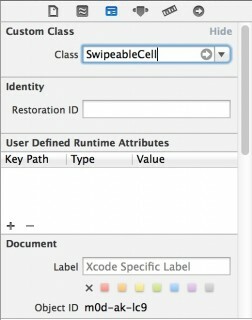 This is the same as before, except this time we need to grab the cell from the table view usingcellForRowAtIndexPath:. Woo! There’s the delete button! Now, below the content view, is a view of classUITableViewCellDeleteConfirmationView. So that’s where the delete button comes in. Notice that the x-value of its frame is 320. This means that it’s positioned at the far end of the scroll view. But the delete button doesn’t move as you swipe. So Apple must be moving the delete button every time the scroll view is scrolled. That’s not particularly important, but it’s interesting! 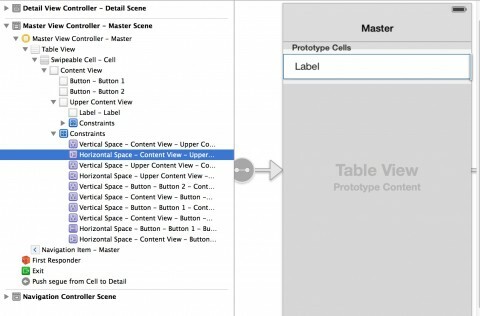 You’ve also learned more about how the cell works; namely, that UITableViewCellScrollView — which contains the contentView and the disclosure indicator (and the delete button when it’s added) — is clearly doing something. 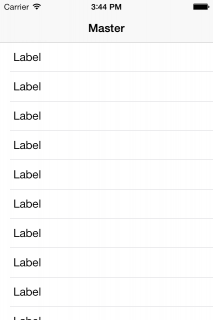 You’ve might guess from its name that it’s a subclass of UIScrollView. 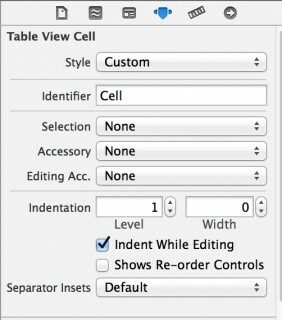 In plain English, this means that any custom mods to UITableViewCell must be performed in thecontentView. You can’t simply add your own views below the cell itself — you have to add them to the cell’scontentView. This means you’re going to have to cook up your own solution to add custom buttons. But never fear, you can quite easily replicate the solution Apple use! So what does this mean for you? Well, at this point you have a list of obvious ingredients for cooking up aUITableViewCell subclass with your own custom buttons. The contentView as your base view, since it’s required that you add subviews to this view. 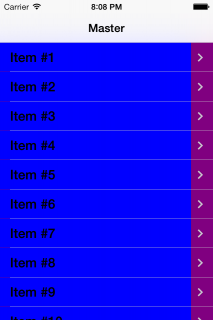 Either a UIScrollView to hold your container view, like Apple use, or you could use aUIPanGestureRecognizer. This can also handle the swipes to reveal/hide the buttons. You’ll take the latter approach in your project. There’s one ingredient that may not be as obvious: you have to ensure the existingUIPanGestureRecognizer — which lets you swipe to show the delete button — is disabled. Otherwise that gesture recognizer will collide with the custom one you’re adding to your project. 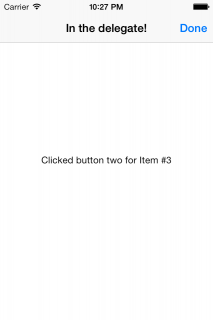 To keep it simple, you’ll walk through this example with two buttons, but these same techniques will work with one button, or more than two buttons — though be warned you may need to add a few tweaks not covered in this article if you add so many buttons that you’d have to slide the entire cell out of view to see them all. 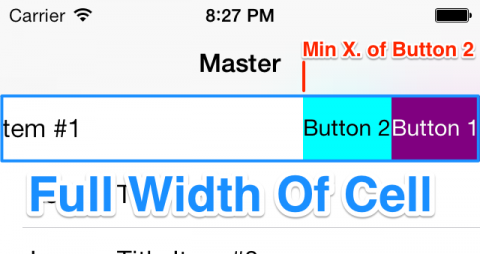 Next, drag two Buttons into the cell’s content view. 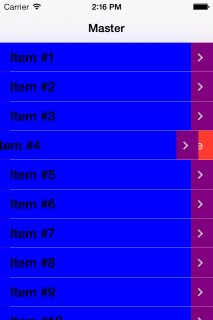 Set each button’s background color in the View section of the Attributes Inspector to some distinctive color and set each button’s text color to something legible so you can see the buttons clearly. 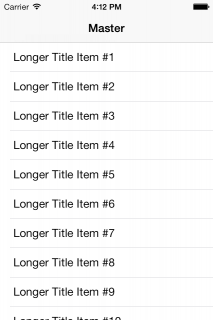 Since you’re customizing the cell’s content view, you can’t rely on the built-in text label. 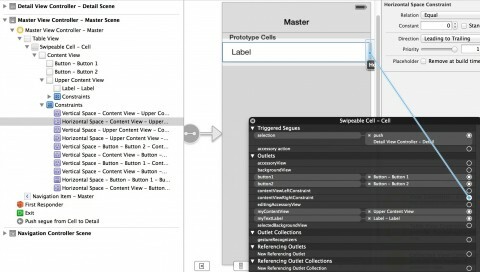 Instead, you’ll need to add your own property and method to set the cell’s text. 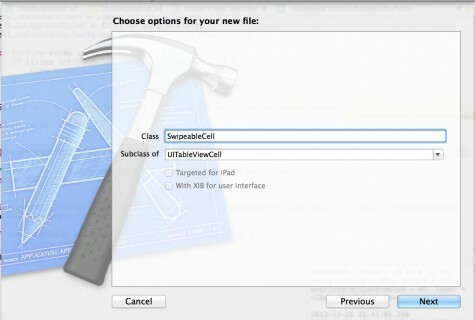 It’s now your new cell class being used instead of the standard UITableViewCell. Hooray — your buttons are there! If you tap on each button, you’ll see the appropriate log messages in your console. However, you don’t want to have the cell itself take any direct action. 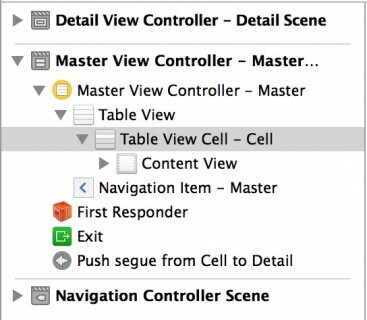 Finally, you need to set this view controller as the cell’s delegate. If you’re happy with the log messages, feel free to skip to the next section. However, if you’d like something a little more tangible, you can add some handling to show the included DetailViewController when one of the delegate methods is called. Open Main.storyboard and drag a UIView into your SwipeableTableCell. The view should take up the entire height and width of the cell and cover your buttons so you won’t able to see them until you get the swipe working. In order to do that, you’ll first need to hook up the IBOutlets for the left and right constraints of themyContentView view. 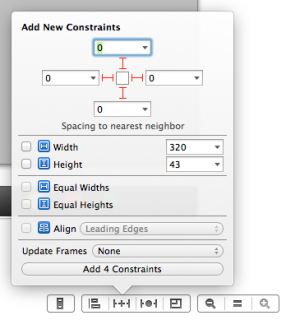 These constraints pin that view to the cell’s contentView. 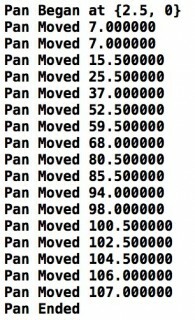 This is the method that’s called when the pan gesture recogniser fires. For now, it simply logs the pan gesture details to the console. You’ll see positive numbers if you swipe to the right of your initial touch point, and negative numbers if you swipe to the left of your initial touch point. These numbers will be used to adjust the constraints ofmyContentView. Sounds easy — but there’s a lot of moving parts to watch out for. You have to handle a whole lot of things very differently depending on whether the cell is already open or not, and what direction the user is panning. Since a left-to-right swipe results in a positive value for deltaX and the right-to-left swipe will result in a negative value, you must calculate the constant to set on the right constraint based on the negative ofdeltaX. The maximum of this and zero is taken, so that the view can’t go too far off to the right. In this case, you’re not just taking the deltaX – you’re subtracting deltaX from the original position of the rightLayoutConstraint to see how much of an adjustment has been made. Next up, you need to make the cell snap into place as appropriate. You’ll notice at the moment that the cell just stops if you let go. Before you get into the methods that handle this, you’ll need a single method to create an animation. To make things look right, you’ll need to give your cell a bit of a bounce when it hits either edge. You’ll also have to ensure your contentView and myContentView have the same backgroundColor for the optical illusion of the bounce to look as seamless as possible. 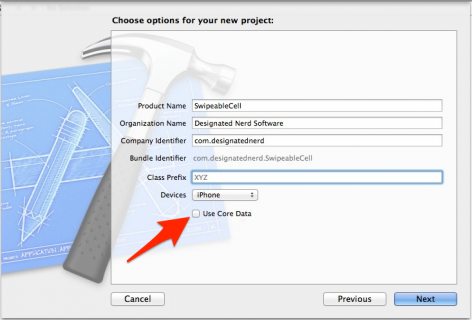 Build and run your application; drag the cell all the way to its catch points. You’ll see the bouncing action when you release the cell. There’s just a few more steps before you’re done! First, your UIPanGestureRecognizer can sometimes interfere with the one which handles the scroll action on the UITableView. Since you’ve already set up the cell to be the pan gesture recognizer’sUIGestureRecognizerDelegate, you only have to implement one (comically verbosely named) delegate method to make this work. 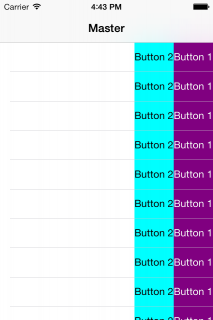 There’s still an issue with cell reuse: rows don’t remember their state, so as cells are reused their opened/closed state in the view won’t reflect the actions of the user. To see this, open a cell, then scroll the table a bit. You’ll notice that one cell always remains open, but it’s a different one each time. This method ensures the cell re-closes before it’s recycled. 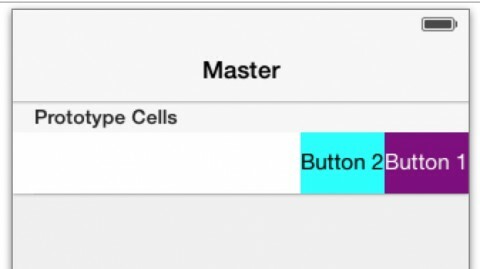 If the current cell’s index path is in the set, it should be set to open. The final project is available here as a download. I’ll be working with what I’ve developed here to assemble an open source project to make things a bit more flexible – I’ll be posting a link in the forums when it’s ready to roll. A couple of resources that were very helpful in writing this article, but which ultimately took very different approaches, were Ash Furrow’s article that got the entire ball rolling, and Massimiliano Bigatti’s BMXSwipeableCell project which showed just how deep the rabbit hole can go with the UIScrollViewapproach.